Gerard Hugh Sayer was born in 1948 in in Shoreham-by-Sea, Sussex. He was the middle child of three (an older sister Kathleen and a younger brother Brian) and attended the Blessed Robert Southwell in Goring-by-Sea. As a young lad, he was a boy chorister and benefited from singing instruction from Father Dermot MacHale, the Parish Priest. To this day Leo attributes “the finding of his voice” to Father MacHale. Like all teenagers with an ear for music Gerry he fell in love with the songs of Buddy Holly and Elvis Presley songs and sang with the school band. He left school to attend the West Sussex College of Art and Design in Worthing, for a a course for commercial art and graphic design. There he perfected the mouth organ after discovering Rhythm and Blues, and was soon jamming with local bands. Restless he left college without completing his course but got work straightaway in a nearby Brighton design studio. He became a freelance artist and moved up to London in late 1967. Things got a bit too much for the young artist in London and he came back to Shoreham to chill out on a houseboat for on the river Adur. To make ends meet he took casual work but joined a local band called Patches as singer and harp player. Now writing songs as well as singing Gerry decided he wanted to become a professional musician. After winning an audition for a local talent agent David Courtney, the two started writing and recording together. Once they had built up a portfolio of work David turned to his old friend and former employer, Adam Faith. Patches made their first single at London’s Olympic Studios. Called “Living In America” and whist it failed to attract commercial success it did have uncredited support from the Who. By chance the Who were in the studio during the recording and were keen to meet Adam Faith. 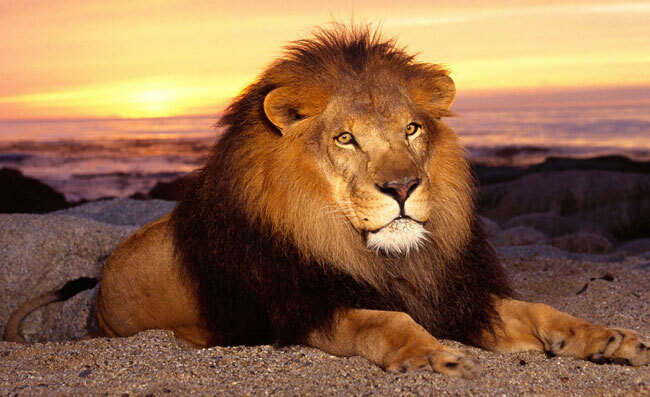 Gerry full head of curls caught much attention at the time and David Courtney christen him Leo, after the lion. So Gerry became Leo Sayer and Adam Faith became Leo’s manager. He was singed to the Chrysalis label (UK) and Warner Bros. Records in the USA. Patches disbanded, with only Max Chetwynd, guitarist, staying on and David and Adam prepared to produce Leo’s first album at Manor Studios in Oxford.The album “Silverbird” was an experimental process, as neither Adam and David had no real experience in record production. Roger Daltrey took an interest in the process and further recording took place at his home studio in Sussex before completion at the Beatles’ Apple studios. By chance Roger Daltrey was recording his first solo album and looking for material. He enjoyed the Courtney/Sayer compositions and asked them to write some for the album. Happy to oblige they gave him some of the material they had intended to use for the second Leo Sayer album. Produced by Faith and Courtney, “Daltrey” the album was released on Track Records in 1973 before the Leo Sayer debut album “Silverburd”. The first single, “Giving It All Away” became a hit for Roger Daltrey in Britain and the U.S.A. and soon everybody in the business wanted to know about the writers. The cover of the Daltrey album was photographed by Graham Hughes, who was a well-respected photographer. When Leo met him he was taken with some of his fashion photos which included models with a Belgian mime artist dressed as Pierrot the clown. Keen to adopt a striking stage presence Leo convinced his management he should adopt the clown persona. Graham shot the cover with Leo portrayed as himself on the front, and dressed as the Pierrot on the back. 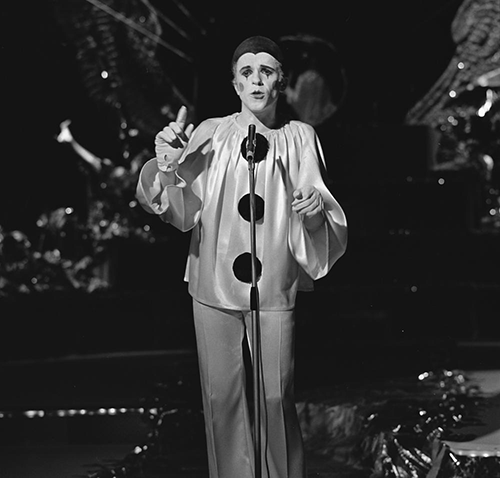 Faith wanted to maximise the clown image and create an impact with Leo Sayer’s public debut. The first major concert was in Brighton and the head of Warner Brothers records in America, Joe Smith, was invited to attend. The singer’s stunning performance combined with his visual impact as Pierrot the clown was enough for Smith to sign him to a ten-album deal in the United States, Canada and South America. Chrysalis Records in the U.K. signed Leo for the rest of the world. “Silverbird”, was released in the UK and US simultaneously. The first single "Why Is Everybody Going Home" failed to chart but the follow up, “The Show Must Go On”, went to number 2 in the U.K. singles charts and the “Silverbird” album also reached number 2 in the album charts. Leo went on European tour, appearing on stage dressed as the Pierrot, supporting Roxy Music. His wife Janice made the costumes and applied his make up, . The B.B.C. invited him to appear in The Old Grey Whistle Test (OGWT) and a US tour beckoned. Leo wowed the American audiences when he played week long performances at The Troubadour in Los Angeles, and at The Bottom Line in New York (with support act Hall and Oates). The U.S. tour was deemed a great success and the singer vowed that he would drop the Pierrot costume and make- up . On his return to England in 1974 he played his biggest gig at London’s Crystal Palace Bowl supporting Rick Wakeman then back in the recording studio for his second album “Just A Boy”. The two singles, “One Man Band” and “Long Tall Glasses” both hit the charts in the U.K. and around the world. By the time of the third album, (Another Year) Leo had a new co-writer, Frank Farrell (Supertramp). The single “Moonlighting” was a hit and the album reached the Top Ten UK albums chart. He spent 1975 on the road, promoting the album and playing Britain, Australia and New Zealand, South Africa, the Far East, and Europe. Towards the end of the year he released a Christmas single which was a cover of the Beatles “Let It Be”. The single failed to attract much attention but did later appear on Lou Riesner’s concept album “All This And World War Two” which was released the following year. Now at the pinnacle of success after another tour of the US, Leo appeared on T.V. for the B.B.C. with his own prime time special. Back in the studio with Richard Perry, the new album “Thunder in my heart” contained more original material. Unfortunately, sales did not match expectation but the singles “Thunder In My Heart” and “Easy To Love” singles did well. Now being groomed to join Elvis and Tom Jones in the lucrative Las Vegas and cabaret circuit Leo was forever on the road. The last album produced by Richard Perry was “Leo Sayer” (1978) and had the cream of session musicians with a more introspective Leo Sayer. “Stormy Weather” was the best track (sic. IMO) but “I Can’t Stop Loving You” and "Raining in my heart" were stand out singles from the album. Between touring the world Leo again fronted his own weekly show on B.B.C. T.V. every Friday night. The next album, “Here” (1979), saw Leo reunited with Dave Courtney. Despite a literal who’s who of session musicians the album failed to attract as much attention as the previous three had in the US. The Very Best of Leo Sayer was a compilation album which became number one in the UK albums chart, and by the time Living in a Fantasy (1980) was released with the single “More than I can say”, Leo was back on top across the world. However, cracks started to appear with a heavy touring schedule and mounting problems due to a series of financial and legal problems. Back in Los Angeles with Arif Mardin the new album, “Have you ever been in love “included the hit singles: “Have You Ever Been In Love” (1982) and “Orchard Road” (1983). The latter would be the last single to make the top twenty. Back in the UK, Leo hosted two more self-titled T.V. series for the B.B.C. during 1983 and 1984 and had his own radio show on Radio 1. .
By the mid-80s, Leo was now divorced and it was revealed Adam Faith had been badly mishandling his business affairs over many years. Protracted legal action followed and the case was eventually settled out of court in 1992. Leo Sayer had lost millions. Now 40 years old, Leo was touring the UK again. In the early 1990s his career stalled again while he fought a protracted but ultimately successful legal battle against his former label, Chrysalis, to regain the publishing rights to his songs. He continued to work by touring the Far East, Australasia and New Zealand. In 1996 Sayer was forced to sue his new management after he discovered that his pension fund had allegedly been mismanaged to around £1 million. Leo Sayer continued with his live performances and worked his way back to financial security. In January 2009, Leo Sayer became an Australian citizen where he continues to record and perform.